To most people an office is the place where you have to go to work everyday. It’s the box you’re stuck in until 5pm or later with the worst lighting in the world. And who put fish in the microwave…seriously?! To me, an office is so much more. It’s the place I get to meet and enjoy a coffee or drink with my clients. It’s the space where I enjoy my biggest passion--real estate. It’s the place where my ideas and actions come to life. It’s my home away from home. 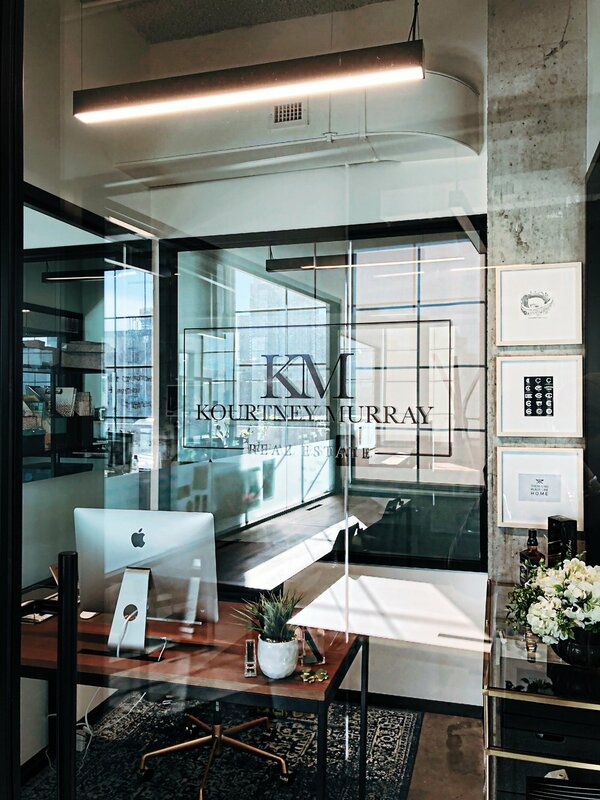 So, if you haven’t heard already—KM now has it’s very own, swanky office! Right in the heart of Fulton Market, we’ve taken up residence at Industrious. With the perfectly laid-back yet thoughtful feel and the amazingly comfortable space for our Sip & Learns, we knew it was a perfect match. Buying, selling and even renting can be an overwhelming experience, so the goal was to make our little headquarters as comfortable as possible—somewhere where we could just chat about whatever. And with such a perfect vibe, I knew the KM HQ would need to be on point. So, what makes up the office? A whole lot of things. My favorite pieces in the office are obviously the frames on the concrete walls. One says "There's no place like home" with a home plate, ball & bats. The other is the Cubs' logos throughout the years, and lastly there's a drawing of Guaranteed Rate Field because at the end of the day, we'll always support a Chicago team...unless it's against the Packers (Go Pack Go!). I have some smaller pieces by some of my favorite artists like Hebru Brantley & Nate Otto. Then, of course, what would an office be without a couple bottles of alcohol that you'll probably never drink? Also, meetings are more fun on a roof deck or terrace, wouldn't you say? We host Office Hours every other week that's open to anyone, so check out the KM events. We'll hopefully see you soon! KM HQ is located at 171 N. Aberdeen Ste 400 in Chicago's Fulton Market neighborhood.